Unveiled to the firearm world in 2017 at SHOT Show, the Hudson H9 made an impression in the firearms industry with their unique performance, styling and characteristics. 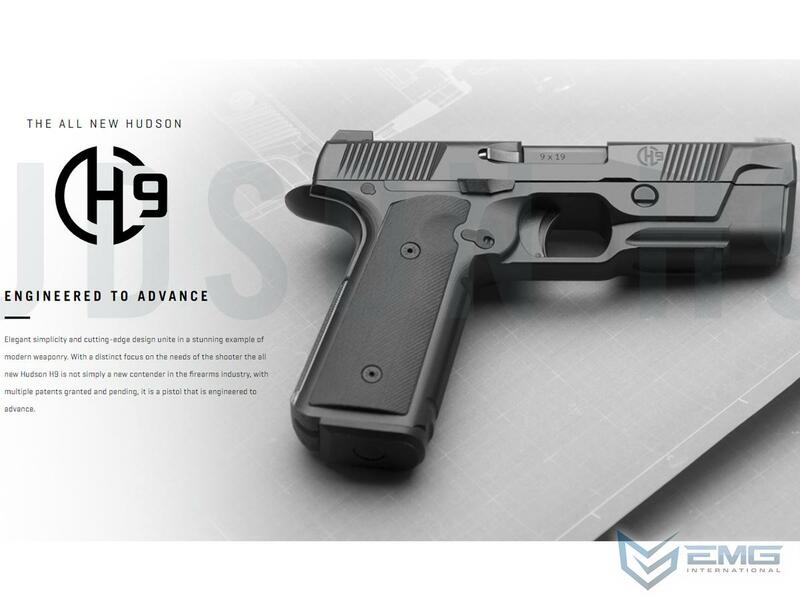 After three years of development, the Hudson H9 holds multiple patent pending features in the pistol design which successfully combines the characteristics of a 1911 style pistol with that of a modern striker fired handgun. The most notable feature is the placement of the recoil rod and spring; right in front of the trigger guard. 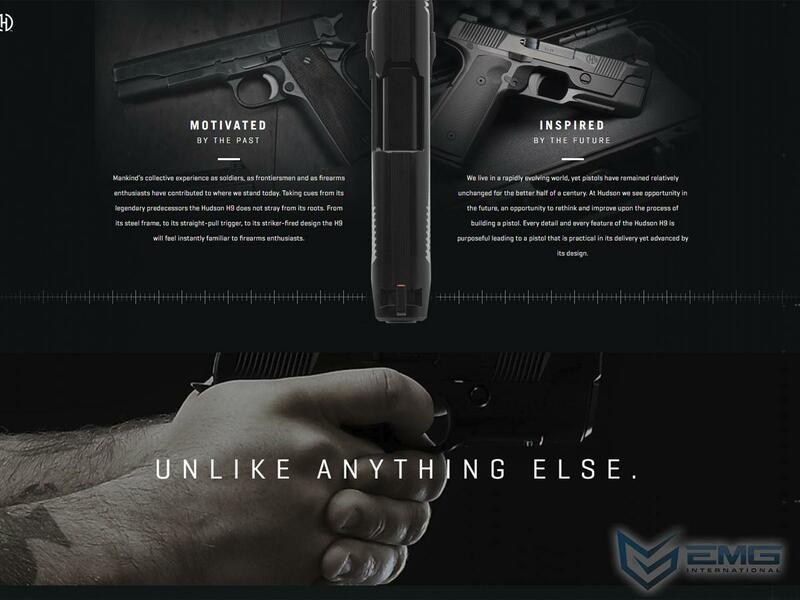 The positioning of the recoil spring allows the barrel to sit at an extremely low bore axis which changes the recoil characteristic to straight back rather than up and over for a much lower perceived recoil impulse and reduced muzzle flip. This contributes to the Hudson H9's unparalleled precision as well as impressive speed for follow-up shots. 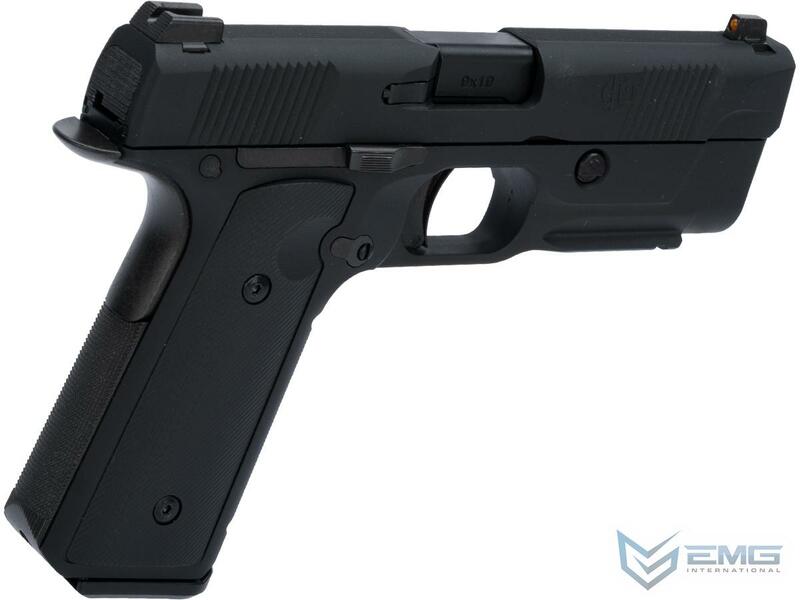 Aiding in the Hudson H9's performance is its remarkable 1911 style trigger. 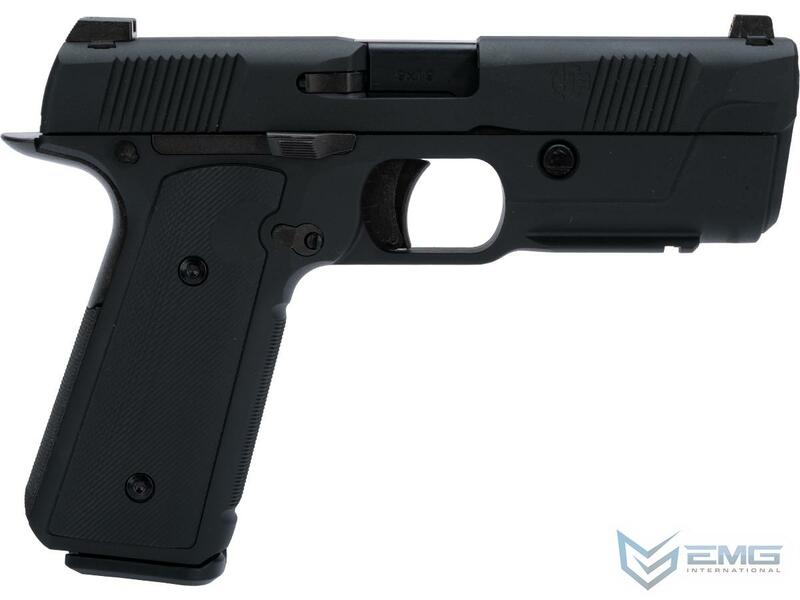 Going off the mindset that a pistol is only as good as its trigger, Hudson decided to go with arguably the best trigger out of any handgun in the world. The well-tuned 1911 style trigger of the Hudson H9 offers a short take up, a crisp break with no overtravel, and an incredibly short and tactile reset. The patent pending trigger safety is instinctively engaged and does not take away from the smooth straight trigger pull. 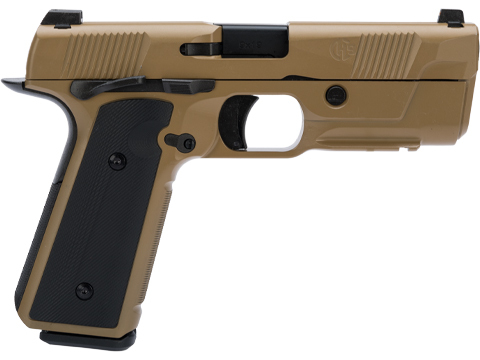 Rounding out the rest of the pistols impressive features is the overall feel of the gun in hand, from its ambidextrous operation to the guns profile. 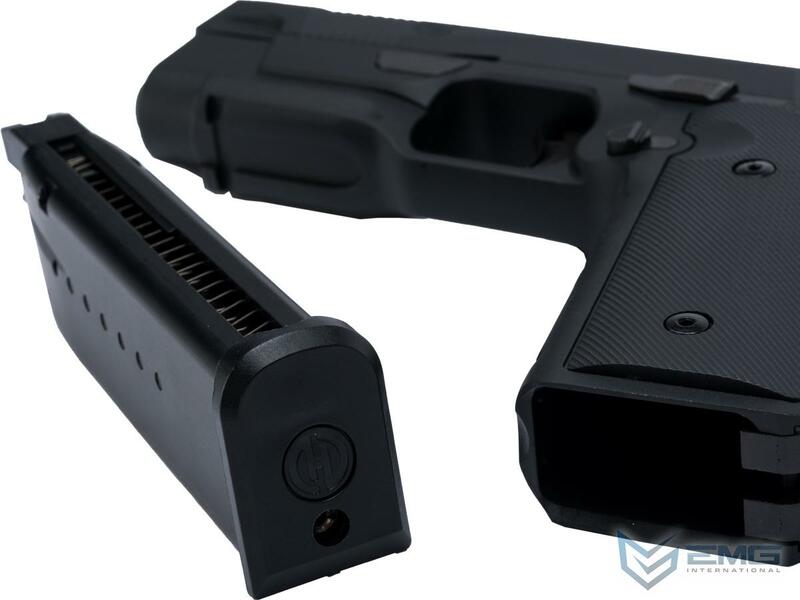 The overall profile of the Hudson H9 is very thin and compact for a full size duty pistol; the grips are no thicker than that of a single stack 1911 but are able to house a double stack 9mm magazine. 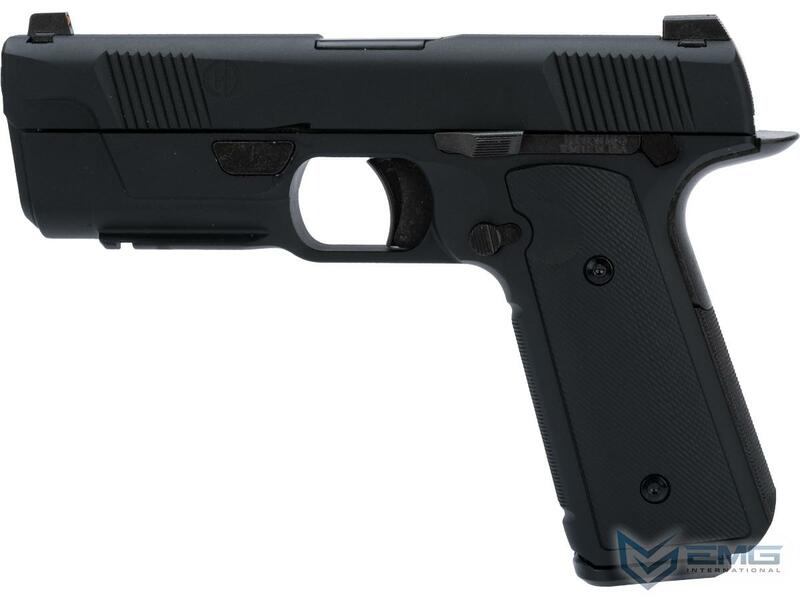 Us here at EMG were so impressed with how the real-life Hudson H9 felt and performed, we just had to bring this magnificent pistol to the Airsoft market. 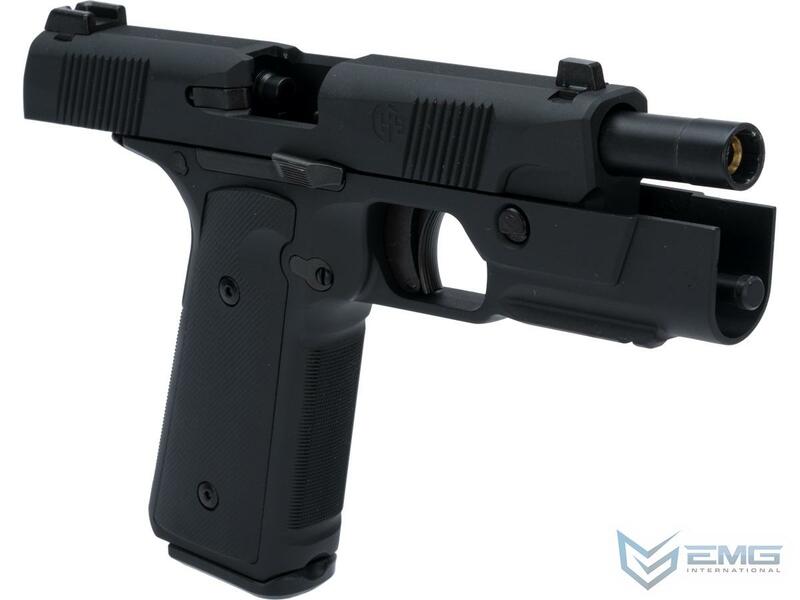 Following our strict guidelines and emphasis for accuracy of the product to its real-life counterpart as well as performance in Airsoft, we have collaborated with Hudson Mfg. directly to make this project happen. Going off the original specs and diagrams for the Hudson H9, we have been able to precisely design an Airsoft version of the gun that is a true 1:1 size that will look and feel exactly like the real thing. 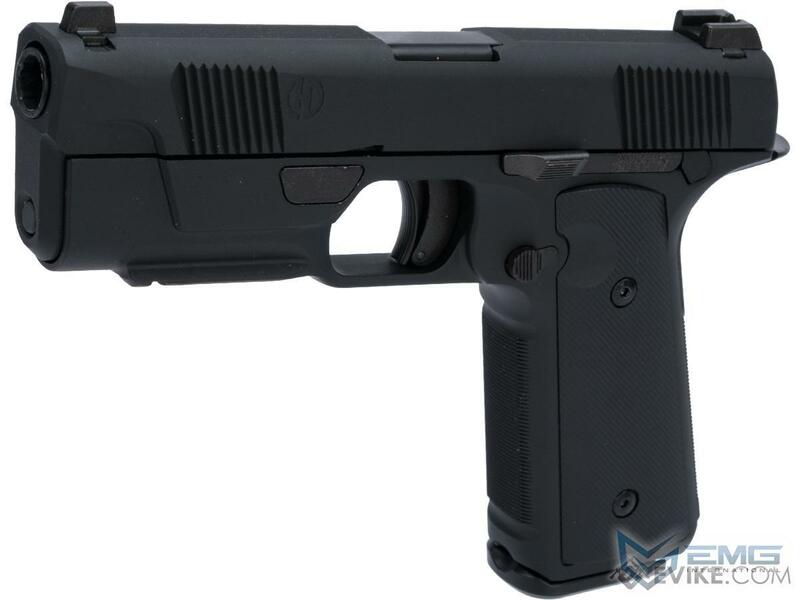 Additionally features such as the amazing feeling trigger, and the recoil impulse carries over very well to the EMG Airsoft Training version of the Hudson H9. Manufacturer: EMG / Licensed by Hudson Mfg.